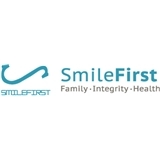 Smile First Family Dental Studio (Chicago) - Book Appointment Online! We are a family owned, family operated dental practice focused on quality. We place the utmost value in optimal oral healthcare and bringing your smile to its greatest potential in the safest and most comfortable setting possible. This was quite possibly the best dental appointment I've ever had. Everyone at the office was awesome and made sure I understood everything that was happening. They seem like a very happy team.